As the only connection between your vehicle and the road, your tires have a big impact on the way your car moves. They grip the asphalt to make sure you have control of your vehicle while you’re cruising down the streets of Los Angeles, Long Beach, and Downey, and they keep you and your passengers safe as you wind around sharp turns and climb hills. Because your tires are such a critical part of your vehicle, it’s important to make sure they’re in good condition. Regular maintenance will also help to reduce wear and tear and improve gas mileage. Learn about the basics of keeping your tires performing optimally. 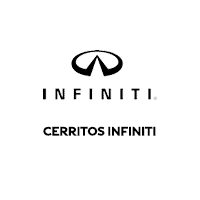 For tire services in Cerritos, contact Cerritos INFINITI today. If your tires aren’t properly inflated, they’re susceptible to damage. Tires lose air pressure as time goes on, so they need to be checked roughly once a month. It’s also a good idea to check them before or after a long road trip. Properly inflated tires can also improve your gas mileage. To check your tire pressure, first you need a pressure gauge. Then find the ideal pressure for your tires, commonly on a sticker on the inside of your doorjamb or in the owner’s manual. The best time to check your tires is before you drive so you get the most accurate reading. Insert the gauge into the valve stem on the tire and let out or add air until you reach the desired number. Your tires grip the road using the tread, fighting through slippery conditions to keep you safe. As you drive, this tread wears down, reducing the efficiency of the tires and increasing the risk of slipping and sliding. The U.S. Department of Transportation requires tire tread be replaced when it wears down to 2/32 of an inch, and in some states, it’s required by law. The penny method is effective for testing your tires tread. Insert a penny with Lincoln’s head pointing downward into the tread. If the top of his head disappears, your tread is still good. If you can see his entire head, you need to have your tire replaced. Each tire doesn’t wear evenly, so rotation is necessary to extend the life of your tires. To perform a tire rotation, each tire and wheel is removed and put in a different spot on your vehicle. It’s recommended that you get your tires rotated every 6,000 to 8,000 miles. This is when the vehicle’s front and rear suspension are adjusted to be aligned. Your vehicle can be knocked out of alignment from various impacts that occur while you’re driving around Los Angeles, Long Beach, and Downey, including potholes and damaged areas in the road. Your vehicle may not be aligned properly if it doesn’t drive straight when your steering wheel is straight or you notice that your tires are wearing unevenly. If you’re experiencing these types of issues, it’s critical to have the alignment adjusted to prevent serious wear and tear on your tires. Taking care of your tires and performing regular maintenance will keep them in good condition and increase their life span. The roads of Los Angeles, Long Beach, and Downey can be rough, so it’s important to check your tire pressure, tread, and alignment. If you notice any issues with your tires, click here to schedule an appointment with Cerritos INFINITI or call us at (888) 262-2011.